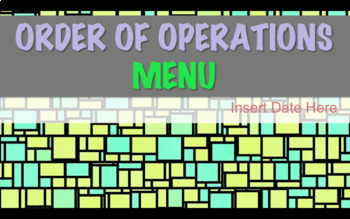 Must have the ability to open zip file. 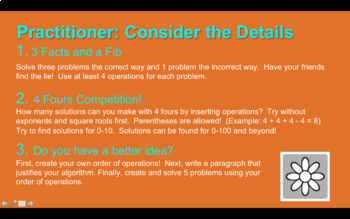 An editable PowerPoint focused on the Order of Operations for grades 4 thru 6. 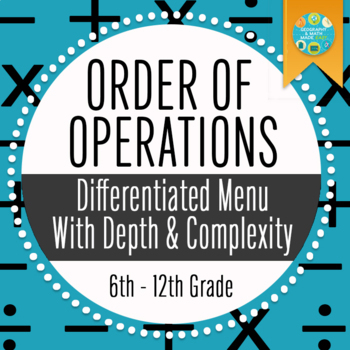 Includes three levels of differentiated activities and depth and complexity icons. 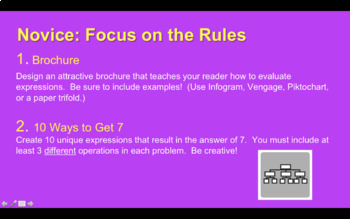 Activities are designed for extension activities for after student have learned the basics and does not contain practice problems.